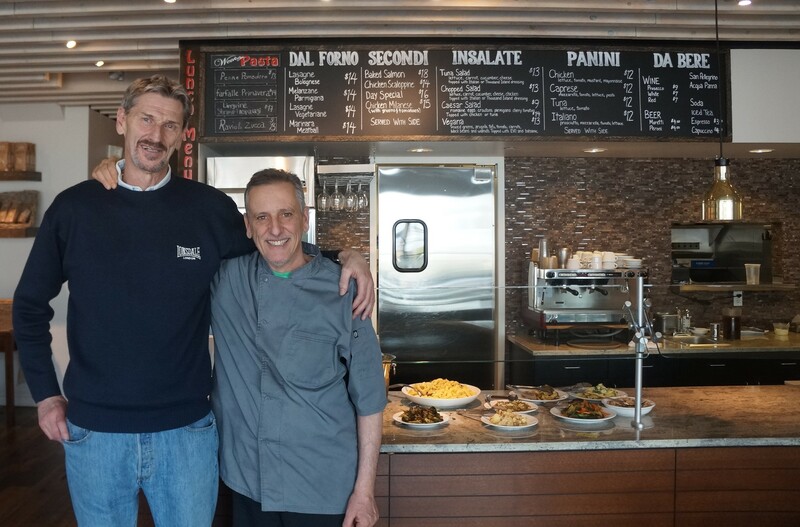 The new owners of Cherry Creek’s Pasta Pasta Pasta hope to inspire a renaissance in Denver’s Italian food scene. Vittorio Gallinari and chef Mario Petit purchased the longstanding Italian lunch spot this year. 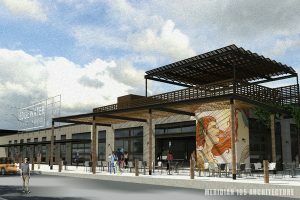 They’re also the team behind Monna Pizza, one of the food concepts joining upcoming food hall Edgewater Public Market. 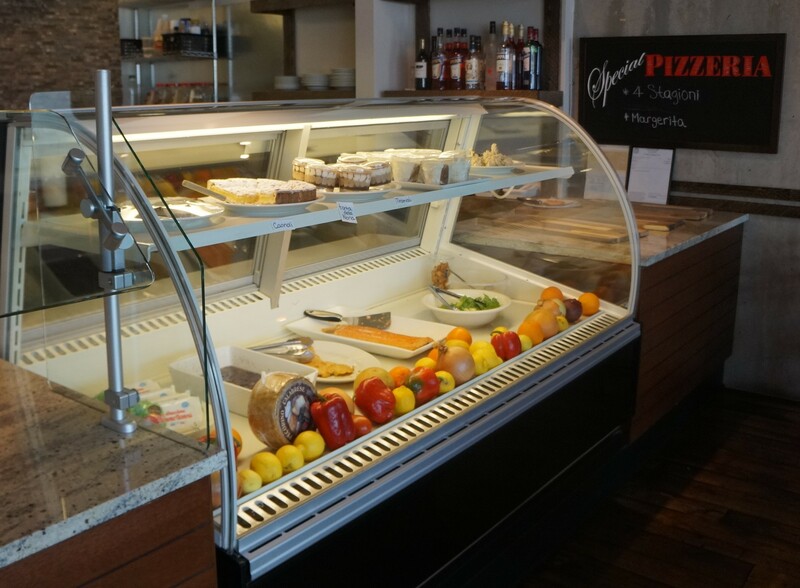 For both restaurants, the Italy natives hope to bring authentic, “Italian-quality” food to the Front Range. They’ve been working on opening Monna Pizza for years, Petit said. The restaurant’s space in Edgewater is just the kitchen, Gallinari said. 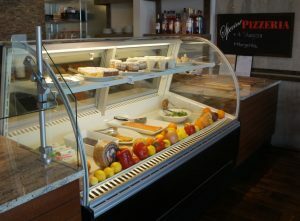 Its Italian-style pizza will be on display every day, allowing for patrons to select their food based on sight. This concept is mirrored at Pasta Pasta Pasta, which drew Gallinari and Petit to the restaurant. They already had signed a lease for Monna Pizza when they realized the owners of the Cherry Creek outpost were looking to sell. “The concept was good — you order what you see, not what you read from a menu,” Petit said. The pair remodeled the interior of the restaurant and extended the hours. The restaurant’s new hours are 11 a.m. to 7 p.m. Monday through Thursday, and 11 a.m. to 9 p.m. Friday and Saturday. And every day from 4 p.m. to close is a special “Italian happy hour,” with a special dinner menu and a drink menu that includes Italian staples such as prosecco and spritzes, Gallinari said. Gallinari and Petit remodeled the interior of long-standing Cherry Creek restaurant Pasta Pasta Pasta after purchasing it earlier this year. The menu also now offers the same Italian-style pizza that will be served at Monna Pizza, which will open along with the rest of Edgewater Public Market later this year. Gallinari said they kept the staff hired by the restaurant’s previous owners, Lisa Miller and Franco Tronchin. Gallinari and Petit met while Gallinari’s son, pro basketball player Danilo Gallinari, was playing with the Denver Nuggets. The Gallinaris regularly ate at Parisi, where Petit used to work, and they began to talk about opening a restaurant. Gallinari still lives primarily in Milan, but is staying in Denver as the restaurants start up. Petit moved from his native Florence 25 years ago after marrying a Coloradan. It’s Gallinari’s first time in the restaurant industry; he once played professional basketball for Italy. 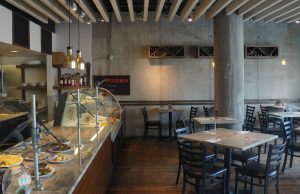 Pasta Pasta Pasta is at 185 Fillmore Street in Cherry Creek. Edgewater Public Market is set to open this August at 20th Avenue and Depew Street. Zander Rodriguez of David, Hicks & Lampert Brokerage represented Gallinari and Petit in both transactions. 1 Comment on "New owners of Cherry Creek’s Pasta Pasta Pasta expand hours, plan Edgewater pizza joint"
As long as they sell wine for the same price as tavernas in Italia, I will be happy.